You are on vacation and you have to eat! Lucky for you there are so many options in Door County. 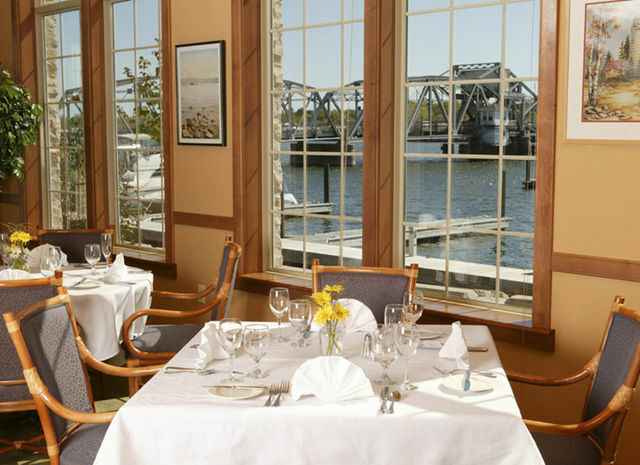 Sturgeon Bay has casual dining to fine dining. Supper Clubs, Pizza and Fast Food. Kids menus and Lots of Ice Cream! There are terrific choices up and down the Door County Peninsula. Don't forget to dine with the goats in Sister Bay or have a drink in Ephriam (pro tip they are NOT a dry town anymore) Be sure to check in the lobby at Westwood Shores for the most current menus for popular Door County restaurants. And ask the staff for their reccomendations. Looking for a place to drink? We have coffee shops, breweries, wineries, pubs, taverns and even a distillery nearby. Ask for directions to our favorites. Click here to read a great article about the top 9 "foodie" spots in Door County. Take steaks of mild whitefish fresh from our local waters and add in potatoes and onions. Make it a big production as you create a "boil over" and you get a delicious experience! Reservations are strongly reccomended. You'll find the authentic Door County Fish Boil served at restaurants throughout the county. In Sturgeon Bay, Fish Boils are served at Scaturos Restaurant, The Mill Supper Club and Waterfront Mary's.